BarcodeBazar has barcode printers for every business needs , various size and print volume. Whether you're printing asset labels from your desk from a small quantity to a large quantity or in the warehouse making shipping labels all day, we have a printer to meet your needs and budget. No matter the application, we'll get you printing in no time! BarcodeBazar will assist you to find the right scanner to meet the demands of your business. 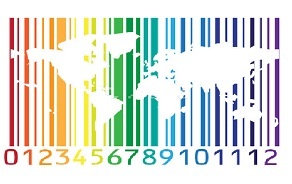 From retail to warehousing, BarcodeBazar has scanners to read every barcode type in any environment. Laser, area imager, handheld, wand, omni-directional, in-counter, presentation, industrial, cordless/wireless, CCD, and more! BarcodeBazar meet your labeling needs with a full range of stock blank labels for your barcode printer as well as completely pre-printed labels. With options for a variety of sizes, colors, and material types, we have the perfect match for any application. Whether you're making shipping labels, company asset tags, or safety compliance stickers we'll get you the right labels. Restaurants, banks, retail and other heavy-use environments will benefit from our wide selection of high-speed thermal and impact journal, slip, validation and Bill Printer or Receipt Printer. Whether you need a desktop, mobile, or kiosk based Bill printer, we have a model to meet the demands of any business. BarcodeBazar is an authorized reseller of the leading ID card printer brands. We are dedicated to ensuring that you find the right printer for your needs. You'll always receive award-winning service from our ID professionals. For more information of the ID Card Printers, Aadhar Card Printers, RSBY, EPIC printers please contact us. Whatever your ID Card printer brand, we have your ID card printer supplies. BarcodeBazar manufactures high quality custom and specialty industrial ink and fluids for all your industrial printing needs. We select our dyes and pigments from the finest materials and we are the biggest ink manufacturers in Dwarka Delhi India. we run our industrial ink products through quality assurance tests to ensure that our customers enjoy reliable replacement products that are compatible and effective with their industrial printing equipment and also cost less than competitor brand names. We offer a wide range of industrial ink such as Industrial Ink Jet Printer Inks, Videojet printer inks, Domino inks, Marking Inks, Thermal Ink Jet (TIJ) Printer Inks, Wide Format Inks, Imaje Printer ink, Linx printer ink, Citronix inks. BarcodeBazar Electronic Article Surveillance (EAS) systems are designed to help retailers boost their sales and protect their profits by increasing open merchandising opportunities while reducing shoplifting and internal theft. Anti Theft System, EAS System, Retail Security System, RFID Security System, Square Hard Tag, A.M. Technology, RF Technology, Round Hard Tags, Lanyard wire, Jewellery Tag, Pencil Tag, Eas Antennas, Magnetic Detacher, Deactivator, Soft labels ,Garment store anti theft system, Jewelry store anti theft system. BarcodeBazar RFID solutions enables you to advance your business to a new level of efficiency by providing greater visibility into your inventory as it moves across the supply chain. With real-time tracking information, you'll always know where your critical business assets are. RFID handheld readers, RFID fixed readers, RFID antennas, RFID cards, RFID tags, RFID printers, RFID Labels, Windshield labels, RFID event management, RFID attandance system, RFID Boom Barrier. Barcode Bazar is the authorized distributor of Epson Passbook Printers, TVS passbook Printers, Olivetti Passbook printers. The Epson passbook printer ribbon, TVS passbook Printers Ribbon, Olivetti Passbook printer Ribbon and Dotmatrix passbook printer Ribbon are always there in our stock. We provide both the onsite and offsite service for TVS, Epson & Olivetti. Barcode Bazar Distributor supplier of Cash Drawers, Cash Registers, Touch terminals, POS Terminals, Pole display in Delhi India. Distributor of Posiflex, TVS, Casio and service center. Aadhar UID devices are various electronic devices such as Aadhar kit, fingerprint device, gps devices which are used for the aadhar enrollment purposes. Various brands available for aadhar devices are cogent, morpho, crossmatch, l1, startek, gstar gps, UGR86 Gps and many more. 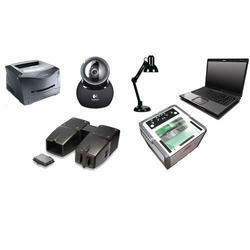 Barcode Printers, Labels & Tags, Barcode Scanners, Thermal ribbons, Label Printers, Barcode Registration, Receipt Printer etc. POS Software, Asset Tracking, Warehouse Management, Mobile terminal Software, Inventory Management, Label Designer etc. Ferrule printers, Card Printers, Passbook Printers, ribbons, cartridge, industrial Inks, Offset Printing, Label Printing etc. EAS Anti Theft Systems, RFID Security, RFID Cards, Proximity Cards, Mifare Cards, Access Control, Biometric Systems etc. Barcode Bazar is authorized dealer of FARGO. HOW CAN WE WORK FOR YOU ?